Will Sephardic Jews Join Ashkenazi Embrace of Pre-Marriage Genetic Testing? “There is no person in the world without issues,” says Rabbi Yosef Ekstein, the founder of the organization Dor Yeshorim (“Upright Generation” in Hebrew), a confidential genetic screening system used around the world, mostly by Ashkenazi Jews in the Orthodox community. 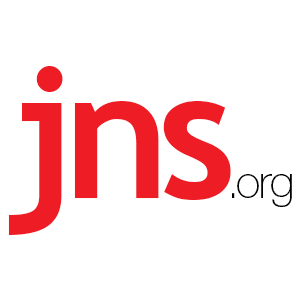 Yosef’s remarks, Ekstein told JNS.org, could be the needed catalyst to encourage Sephardim to get genetic testing for diseases unique to their community. While Ashkenazim have been widely tested for Tay-Sachs and other genetic diseases since Dor Yeshorim’s founding in the mid-1980s, lack of research about Sephardic genetic disorders and minimal outreach to Sephardic Jews have meant that the same levels of testing and disease eradication do not exist in that community. Dr. Ohad Birk, head of the Genetics Institute at Soroka Medical Center in the southern Israeli city of Be’er Sheva and of the Morris Kahn Lab of Human Genetics at Ben-Gurion University of the Negev (BGU), explains that one of the reasons for the lack of research is that the Sephardic community is more complex and disparate than the Ashkenazi community. The same genetic mutations exist in Ashkenazi Jews from throughout Eastern Europe—Poland, Germany, Hungary, and so on. In contrast, there are distinct genetic mutations for each of the Sephardic communities, such as those from North Africa, India, Morocco, and Ethiopia. Further, while the majority of global Ashkenazi Jewry lives in the United States and is willing to invest in genetic research, the Sephardic community—in many cases in Israel—has had less funding to support these initiatives. In the last eight years, Birk and his team have been researching genetic diseases specific to Sephardic communities. They discovered the disease Progressive Cerebro-Cerebella Atrophy (PCCA), which affects dozens of Israeli families of Iraqi and Moroccan-Jewish descent. When a child has PCCA, he or she is born seemingly normal. But around age 1 or 2, the child begins to develop mental and physical difficulties, and by 3 has epilepsy and is virtually a vegetable. In March 2014, Birk’s team discovered PCCA2, a different genetic mutation that leads to a similar disease in Moroccan Jews. There is a 1-in-40 chance for Jews of Moroccan descent to be a carrier for PCCA or PCCA2. Further, researchers uncovered a genetic mutation on the gene SLC38A8, which is specific to the Jewish community of Mumbai, India, and leads to a severe eye disease affecting short-range and long-range vision. Since 1983, more than 2,000 Ashkenazi Jewish couples (about one in 100 of those tested) have been spared the tragedy of having a baby born with the deadly Tay-Sachs disease or another of the 19 most-common Ashkenazi genetic disorders, thanks to organizations like Dor Yeshorim. Thirty-two years ago, 30-40 Jewish children annually in North America were born with Tay-Sachs. Today, that number has dropped to as low as three, and the number is zero in the population screened by Dor Yeshorim. Close to 400,000 individuals have been tested over time for the Ashkenazi-associated genetic disorders. Dor Yeshorim has major centers in the U.S. and Israel and hubs in nearly every location in which a large Jewish population exists. Participants are tested and receive an identification number but not their actual results. When partners are introduced or contemplating engagement, they submit their numbers and birthdays to Dor Yeshorim. The two individuals’ test results are compared, and the match is considered “compatible” as long as both parties are not carriers of the same recessive trait. If the couples are considered “incompatible,” Dor Yeshorim will recommend re-screening to confirm results. The couple would also be offered guidance and advice, explaining the ramifications of a non-compatible couple marrying. The whole process costs around $200, which is subsidized by private donations. Today, Ekstein advocates for all young adults to be tested for all diseases—Ashkenazi and Sephardic—due to the high rate of intermarriage among Jews of various backgrounds. Ekstein says not being tested is equivalent to crossing Fifth Avenue in New York City with your eyes closed. “It’s stupidity,” he says, explaining that someone cannot have blind faith that his or her partner will be genetically compatible. It is necessary, Ekstein argues, to gain the knowledge to make informed decisions for the health of one’s own children and community at large.